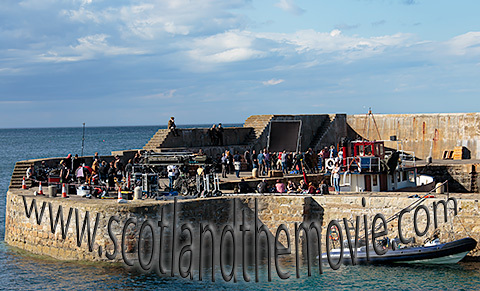 A lot of the filming for Whisky Galore (2016) took place around Port Soy in August 2015. Scenes were filmed at the harbour, near the Shore Inn pub, and the outdoor swimming pool just along the coast to the west. 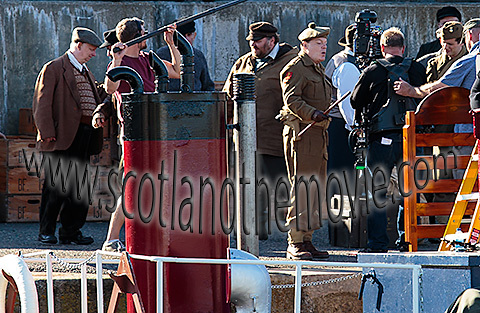 Below Brian Pettifer (extreme left) and Eddie Izzard (military uniform center right) during filming at Port Soy harbour. The Shore Inn pub and adjacent buildings next to the harbour were dressed for the filming. 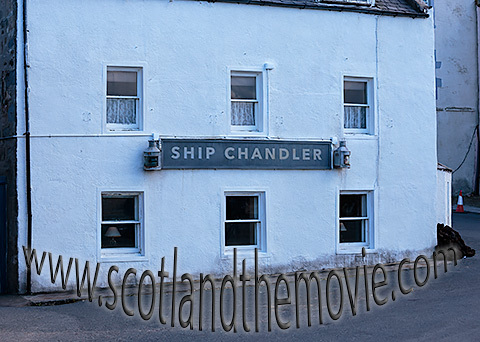 Shown is the Shore Inn as the Ship Chandler.